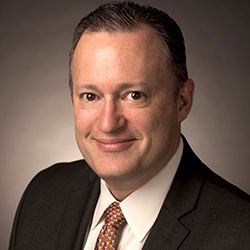 Dr. Jay Bernhardt is the 6th Dean of the Moody College of Communication at The University of Texas at Austin, one of the largest and highest ranked colleges of communication in the country. Dr. Bernhardt also serves as the Founding Director of the Center for Health Communication and holds the Walter Cronkite Regents Chair and the DeWitt Carter Reddick Regents Chair in Communication. He also is Adjunct Professor at The University of Texas School of Public Health. Before UT, Dr. Bernhardt served as Chair, Professor, and Center Director at the University of Florida in Gainesville, and previously served on the faculty of Emory University in Atlanta and the University of Georgia in Athens. From 2005 to 2010, Dr. Bernhardt led communication and marketing at the Centers for Disease Control and Prevention, managing a staff of more than 500 and a budget of more than $100 million. He received his PhD from the University of North Carolina at Chapel Hill, and his master’s and bachelor’s degrees from Rutgers, the State University of New Jersey. He serves on numerous national boards, is a member of six honor societies and four editorial boards, and has received numerous awards for his work and leadership.